On the bottom of a can of Coke there is a series of numbers, which reveal everything you need to know about that item — where and when the product was made and where the ingredients came from. Big manufacturers and processers such as Coca-Cola have long recognised the importance of traceability, and now smaller ones are too. That’s because they realise that if a business can get safety and traceability right, the public will always have faith in them — that’s pretty powerful in a world where consumer confidence and brand loyalty are increasingly fragile. So what is “traceability”? What do you need to know? Who’s asking for it and how can you achieve it? Firstly, what do you need to know? The first thing many people think upon hearing “traceability” is “product recalls”. No doubt, having an effective traceability system makes it far easier to locate defective or unsafe goods ­— be they foods, pharmaceuticals, toys, or any other product — so they can quickly be removed from shelves. In January this year, a piece of red plastic was found in a Snickers bar. The result was a mass recall of Mars products in more than 55 countries. (Not sure of the difference between a recall and a withdrawal?) Mars’ traceability systems enabled them to trace the problem back to a production incident in Holland between December 2015 and January 2016. Being able to quickly and easily recall an item protects the consumer — and in the case of food, pharmaceuticals or wine, could even save lives. Pretty much everyone — consumers, industry regulators, food processors are demanding accurate information and precise identification of products. Even the media. It’s no longer “nice to have”; it’s expected. In Australia, the Food Standards Code requires businesses to trace “one step back and one step forward”. Food businesses should be able to provide information about what food it has on the premises and where it came from, as well as having a system in place to ensure it can recall unsafe food. At the same time, retailers such as Woolworths and Coles require their suppliers to help them ensure every product can be quickly and accurately identified throughout their supply chain. The Woolworths Quality Assurance (WQA) standard outlines stringent criteria for its suppliers when it comes to traceability. 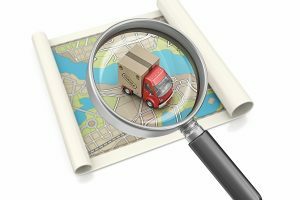 To ensure traceability throughout the supply chain, a system is needed that records and follows the journey as ingredients, parts and materials come from suppliers and are processed and ultimately distributed as end products. This includes gathering information on the components of products, parts and materials, product quality, safety and labelling. A vital component within this is product identification, specifically barcodes and batch codes. All packages with the same batch number are considered to be the same in all respects. So, if the consumer, retailer or manufacturer identifies a problem with a product, they can use the batch code to trace the product back to a specific batch. Products with the same batch code can then be recalled or withdrawn from the supply chain. However, it’s not just about the investing in the right technology; the key to success with traceability is a collaborative effort between all parties in the supply chain. Getting this right can take time and effort, but it’s not without its rewards. So long as traceability remains a priority for consumers, retailers and regulators, it’s an investment every business needs to make. For some more information, these technologies are used in traceability, as are these solutions, while you may find this article on the importance of traceability in your supply chain interesting. Also, check out Matthews’ free resource library for these whitepapers on “Counting the cost of a recall” and “Serialisation 101 for product traceability”. Need more information on how to implement traceability in your business? Speak to our experts. * Mark Dingley is General Manager of Matthews Australasia. With 20+ years of experience in the product identification industry and the wealth of knowledge gained from working closely with manufacturers and industry associations, Mark actively contributes to industry forums, magazines and the Matthews blog. Should you invest in automated check weighing technology? What’s the ROI?